HOW could anyone win three gold medals in a contest, tying with others on the top spot, and not be a part of the Top 16? Well, only at Miss Earth. 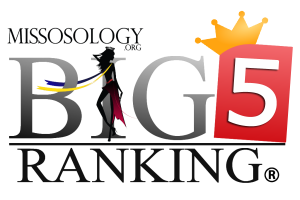 Year after year, this Big5 pageant is notoriously known to dispense large number of medals and give its contestants some false sense of hope. Miss Earth Puerto Rico 2017 Karla Aponte is so far the latest victim. Karla Aponte of Puerto Rico was raking numerous awards at Miss Earth 2017 but for some reason she was not even good enough for Top 16. Was she physically unattractive? Very unlikely as Miss Earth itself ranked her number 1 in terms of figure and form. Was she not that environmentally inclined? Well, her Eco-Video Presentation won a gold medal! There is an inherent flaw with Miss Earth’s drive to make its semifinalists more diverse. Ideally, the Top 16 or Top 10 or Top 20 should be the best among the best and should not be allotted by geographical area. But that is the direction that many pageants are taking, first by Miss World, and then later abandoned. Now Miss Universe is doing the same. 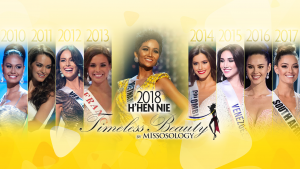 This continental allocation (system) is actually unfair to those women who worked hard and dedicated a year of their pageant life in making sure that they will prevail in this environment-centered pageant. 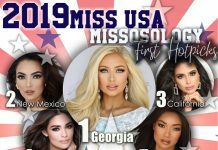 This is a clear example of affirmative action within pageantry for the sake of political score points. Karla Aponte should have been one of the Top 8 or perhaps she could have been the first Miss Earth from Puerto Rico!